There are two ways to load the AR series rifle. 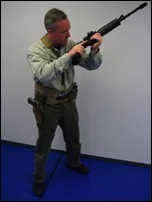 The first, slapping in a magazine and working the bolt will certainly get the weapon into operation. However, that technique does not support anything else in regards to the operation of this weapon system. 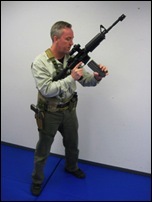 The second method, a deliberate loading of the rifle, reinforces many other procedures that need or may need to be employed when at work with the AR series rifle. Step 2: Return the charging handle to it's forward, locked, position. With the exception of a bad extractor, gas tube or ring issues or a bad or fouled firing pin there is nothing that can't be diagnosed with the bolt locked to the rear. Step 3: Inspect the bolt face and chamber. I have seen the bolt face fouled on three separate occasions. Once as the firer, when the primer from the last round became lodged under the extractor. Twice, while working the firing line as a coach, where bits of brass from a casing lodged in the bolt face. If you work a firing line long enough you will see all manner of impossible malfunctions. If you inspect the chamber and bolt face every time you load, the "wrongness" of something will jump out at you. Step 4: Inspect and insert the magazine. Once again, give yourself the chance to correct any problems before they become showstoppers. Step 5: Slap the bolt release. I have seen many shooters work the charging handle at this stage. 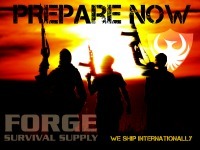 The charging handle method does not reinforce a clean and efficient emergency reload procedure.